Recently, I completed The Tree, a 5'x5' stained glass window for clients Russ and Gail Agard of Hamden, Ohio. Over two hundred individual pieces of glass were used, including pale blue antique glass for the sky and background. This was Gayle's idea to insure that there would always be a blue sky when anyone looked out the window. 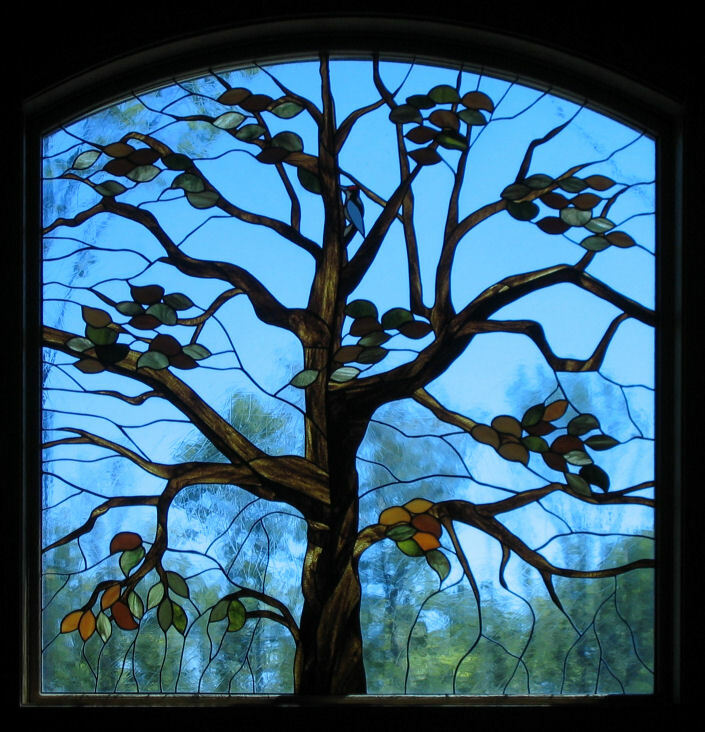 The streaky brown-granite glass gives a realistic and textured look to the tree bark. Look carefully to see the woodpecker in the center of the tree trunk. The leaves match the room color perfectly, and the stunning oak frame was made by Russ in his basement workshop. 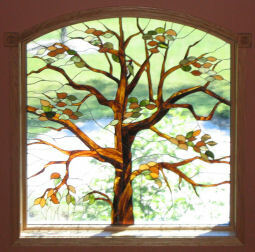 What is truly unique about this window is the illusion that the stained glass tree is part of the small forest behind the Agard's home. In the works are two smaller windows to accompany the larger piece. 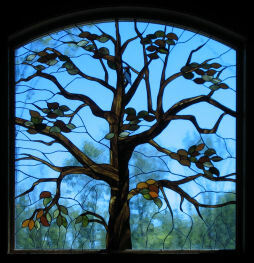 These smaller versions continue the "forest" with additional stained glass "tree tops".